Joe Scarborough and Mika Brzezinski questioned President Donald Trump's mental health in a guest column in the newspaper that ran a day after Trump tweeted chauvinistic comments about Brzezinski. Morning Joe co-hosts Joe Scarborough and Mika Brzezinski are pushing back against President Donald Trump’s chauvinistic tweets about Brzezinski on multiple fronts on Friday morning. The pair delayed the start of their vacation to appear at the top of the 7 o’clock hour of their program. 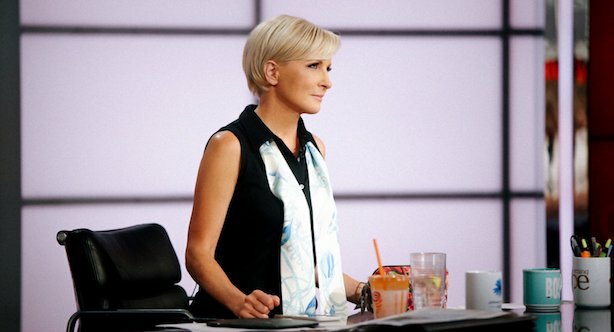 Brzezinski said Trump’s tweets made her "very concerned about what this reveals about the president;" Scarborough added that he thought the tweets were an elaborate joke put on by NBC staffers at first. The duo also wrote an op-ed for The Washington Post that ran on Friday morning under the headline, "Donald Trump is not well," in which they say Trump "is not mentally equipped to continue watching our show." And for the record, Brzezinski denied ever having a facelift in the WaPo column. Golin chairman and USC Center for Public Relations chief Fred Cook is taking issue with an op-ed that ran in The Wall Street Journal this week poking holes in his organization’s recent study of the PR industry’s view of the current White House communications team. The research found that nearly three quarters of professional communicators think the Trump administration is having an impact on the PR industry's reputation and only 6% would accept a job as White House press secretary or deputy spokesperson. Cook said via email this morning that the center is standing by its methodology and its results. Twitter is kicking the tires on a button that would let users tag fake news when they see it, according to The Washington Post. Implementation of any kind of fake-news flagging system doesn’t appear to be imminent; the company told Mashable it is not testing nor does it have plans to immediately make it public. The reaction from Twitter users: "What could possibly go wrong?" Your weekly reminder that nothing is really ever off the record. The White House barred reporters from covering the president’s first reelection fundraising event on Wednesday night, but The Intercept quickly obtained audio. Trump touched on several of his favorite topics, according to the tape, dinging CNN’s coverage of his administration and calling the RussiaGate investigations a non-story. Editor’s note: The Breakfast Briefing is taking a few (ahem, well earned) days off for Independence Day. It’ll return to your inboxes on Wednesday, July 5. Your call: Should Twitter suspend Trump over his tweets about Mika Brzezinski?